Have you heard of the Lifeline Assistance Program? It is a government benefit program that gives qualified people a free government cell phone! When you qualify and apply for the program, you’ll receive a free cell phone with free monthly minutes, data, and texting. Qualifying for the program is actually easy if you already participate in a government benefit program like Federal Public Housing Assistance Section 8, or if you have a low household income. Continue reading this article – this is your guide to getting a free government cell phone while having Section 8 Housing. What is the Lifeline Assistance Program? Sometimes referred as the “Obama Phone”, the Federal Lifeline Assistance Program is actually a decades-long program. Lifeline was created in the 1980s by the Federal Communications Commission (FCC) under the Reagan administration. Lifeline first gave qualified individuals access to landline phone communications. As times changed, the program was eventually updated during the Bush Presidency in 2005 to include wireless phones and services. Lifeline is a government benefit program that helps low income families. Communication services are no longer considered a commodity – it is now a necessity. However, low-income households often cannot afford such necessities. With the Lifeline program, all households can have access to cell phone services so they can easily stay connected to family, friends, work, 911 services, healthcare services, and job opportunities. The Lifeline program helps those who have Section 8 Housing far more than what we list here. If you currently participate in Section 8 Housing government benefit program and you would like assistance with communication services, continue reading this guide. You may also qualify for a free government cell phone with free monthly minutes, data, and texting. Why Should I Apply for a Free Government Cell Phone? Although the United States economy has improved over the last couple of years, there are millions of people still eligible for Lifeline that cannot make ends meet. Cell phone companies are also merging and creating monopolies, and many fear that the cost of communication services will only go up. The basic cost of cell phones with services may rise, leaving those with Federal Public Housing Assistance (Section 8 Housing) the possibility of having to cancel their services due to the inability to pay for their bills. Let’s get this straight: having a cell phone is incredibly necessary in this modern age. Your cell phone helps you receive medical assistance, call 911 emergency services, stay in touch with family and friends, and get jobs. Being able to have these communication services are a necessity, period. So even though having a cell phone is important, we know that there are many still unable to afford it. This is why the Lifeline program is so important: because it makes it possible for these people to be able to have access to this necessity. Here’s an example of why a cell phone is necessary: what if you have an issue with receiving your Section 8 housing allowance and you need to speak with a customer service representative? How will you be able to call them if you do not have a cell phone? Getting to a payphone is now very rare to do so. Will you be able to go to a library and send an email? With a free government cell phone you can simply send out an email from your phone or make a quick phone call. It is much simpler. Here’s another example: what if you have a family member in distress and you want to reach out to them? Will you be able to easily make a quick phone call to reach out and see if they are okay? Having a cell phone is such a necessary thing, and the Lifeline program can provide that free government cell phone with free monthly minutes, data, and texting. Where Can I Get a Free Government Cell Phone? There are several popular providers of the free government cell phone program. Which provider is the best one? Well, there are 3 big providers of the Lifeline Assistance Program, and they are Q Link Wireless, Assurance Wireless, and Safelink, in no particular order. These 3 companies are known to be reputable and also have thousands of customers. Applying online is the fastest and easiest way to get your free government cell phone with free monthly minutes, data, and texting. All you do is go online and fill out the company’s enrollment form, and then follow their steps to finish your application. Many Lifeline service providers let you apply by mailing in an application. You can download the application on their website, or ask the company for a paper application. If you need to request an application, you can use a library computer to access the internet, or ask a friend for help. There are a few Lifeline service providers that have physical kiosks. With these kiosks, you can apply for a free government cell phone in person. All you have to do is show up to one of these kiosks and follow the steps to apply. Please refer to the Lifeline assistance providers’ websites to find the locations of these kiosks. 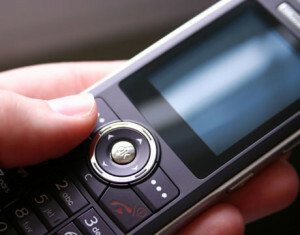 How Can Section 8 Housing Recipients Get a Free Government Cell Phone with Minutes? Just Follow These 3 Steps Now! There are 2 main ways you can qualify for a free government cell phone with free monthly minutes, data and texting. These two ways are explained below. If you participate in Section 8 Housing, or most other government assistance programs (vary by state), then you automatically qualify for a free government cell phone with free monthly minutes, data, and texting. If you also have another government assistance program such as Medicaid or Food Stamps (SNAP), then you may also qualify for a Lifeline free government cell phone with free monthly minutes, data, and texting. If you do not yet participate in a government assistance program (remember, it varies by state, so if you do not participate in the above 7 programs, don’t worry), then you may still be eligible for a free government cell phone. If your total household income is at or below your state’s Federal Poverty Guidelines, then you may also qualify for a free government cell phone with free monthly minutes, data, and texting. Choosing your Lifeline service provider is no easy task. You want to be able to have the best cell phone service. In order to receive just that, you should do some research before deciding your Lifeline service provider. This is such an important step because it is imperative that you choose a provider that is reputable and reliable at the same time. Why should you have a free government cell phone with free monthly minutes data, and texting if you cannot use your service? So, in order to do this research on available Lifeline service providers, you can visit their webpages. If you do not have access to the internet, you can visit your local library and research the websites from there. There are 3 main and popular Lifeline service providers, and they are Q Link Wireless, Safelink, and Assurance Wireless. Visit any of these 3 providers’ websites to find out more information on the companies. You can also see if your state is serviced by any of these companies, and read about their specific free service plans. Many of these providers have a help or FAQ section that can answer many of your questions. Q Link Wireless has a pretty extensive help section. You can also just contact the providers if you have any further questions specific to their services. Once again we must point out that it is so important for you to choose the right Lifeline service provider for you and your household. If you receive Section 8 Housing Assistance, you may need a cell phone that has access to the internet so you can check your email or research prospective housing. So, finding a Lifeline service provider that will offer you a free smart phone with a free monthly data plan should be important for you. Don’t forget that Lifeline providers’ plans may vary by state, so different providers offer different cell phones and plans. Make sure you take the time to read bout the several providers that offer phones and service in your state before deciding on who you should sign up with. After you have decided who you are going to sign up for Lifeline with, you will then be able to enroll for your free government cell phone with free monthly minutes, data, and texting. You can enroll for Lifeline by contacting their customer service, or by filling out an online application. You can find out more about Lifeline service providers by filling out your information in the top-right box above labeled “Lifeline Enrollment”, and then clicking on the red button. 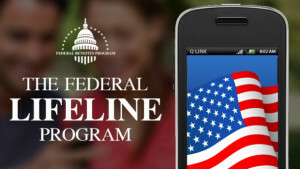 The last and final step for getting your free government cell phone with free monthly minutes, data, and texting is to enroll in the Lifeline program. You may apply online, mail, or by phone. Don’t forget that enrolling is fast and easy to do! Here’s a quick tip for you: applying online is probably the fastest and easiest option for you. If you enroll for your free government cell phone online, then you can receive it as fast as possible. The Lifeline government cell phone application is easy. All you do is provide your information such as your name, address, date of birth, and the last 4 of your social security number. This information is necessary for the Lifeline service provider to properly identify who you are and to confirm your enrollment in the program. After putting in your information, you select how you will qualify for the Lifeline program (either by participating in a government assistance program, or by having a low household income). After filling out all the information in the application, you have to submit it to the Lifeline service provider. Just follow the steps to submit your application. The Lifeline provider will then ask you to provide proof documents that show you qualify for Lifeline. The documents required depend on which method you used to qualify for Lifeline. For example, if you qualified by participating in a government assistance program, then you just submit a copy of any proof document to the Lifeline provider. They will give you a list of examples of which documents you can submit and how to submit it. If you select to qualify by low household income, the you will submit documents that prove you have low income. Another quick tip for you: if you have Section 8 Housing Assistance (or any other government assistance), make sure you select the qualify by participating in a government program option. If you do not select that, you will have to qualify by low income. Every Lifeline service provider has different processes for submitting proof documents. If you have any questions about submitting proof documents, make sure you contact your Lifeline provider’s customer assistance. After submitting your proof documents, just wait for your free government cell phone to come to you! If any complications occur, your Lifeline service provider will contact you to help with getting your free government cell phone with free monthly minutes, data, and texting. Please understand that Lifeline providers have different approval processing timelines. You may be approved in just a couple days, or you may also take several weeks. Your home state and other factors may determine the approval process. Please note that we are not affiliated with the FCC, with the Lifeline Assistance Program, or with any Lifeline service provider. Any questions you may have about the Lifeline program or applying should be asked to your Lifeline service provider. What Else Should I Know About the Free Government Cell Phone Program? There are a couple things you should also know about Lifeline before applying for a free government cell phone with free monthly minutes, data, and texting. Being able to identify these key points will help determine whether you’re eligible for the program, and also will help with your application process. You may only have one wireless or Landline Lifeline account per household. 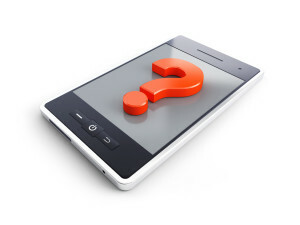 Households cannot have a phone from more than one provider. If you have more than one free government cell phone, you may not be able to sign up for another phone. You may even be deactivated from your current Lifeline service provider. The address you give on your Lifeline application must be your current place of residence. This is to ensure your contact information is verified and you receive the cell phone at the proper residence. Also note that Lifeline service and free government cell phones are non-transferable. It is considered best practice to use your free government cell phone at least once per month. Lifeline service providers may suspend your account or even de-enroll you if you don to make a phone call, send a text, or use your phone for more than 30 days. If you suddenly no longer qualify for your free government cell phone, you must notify your Lifeline service provider of these changes. You have 30 days to notify your Lifeline service provider your eligibility change. For example, if you stop receiving any other government assistance, and you no longer have a low household income, then you must notify your Lifeline provider within 30 days of this eligibility change. Please read your Lifeline service provider’s terms and conditions for more information about this notification process.